Whether you've bought the apps as one-offs, the whole Office 2013 suite or signed up for Microsoft's new Office 365 subscription package, there's lots to like about the new versions of Word, Excel, PowerPoint and Outlook. If you've taken the plunge with the new-look touch-friendly apps, these tips and tricks can help you go further with the software - from tailoring the interface to embedding online clips, there's plenty to explore. We've tried to focus on the new features in Office 2013 (though you will find some tricks that work across the board), while providing a mix of quick hints and more in-depth tips to suit every level of user. Save your most-used folders to the Open screen in any application - use the pin icon to the right of a recently opened workbook or folder. Office 2013 makes full use of your SkyDrive account, and you can save your files to the cloud, access them from anywhere and sync them across computers. Drop in pictures from the newly revamped Flickr or Facebook by connecting your account through the Online Pictures option under the Insert tab. Access the Account page from the File tab in any app to reveal a selection of options for changing the background and theme of the suite. Using a fancy touchscreen laptop or tablet with Office 2013? Use two fingers to zoom in or out of any document, just like on your smartphone. Office finally joins the app revolution - visit the Office website to find apps you can run on top of Word, Excel and Outlook. The store is labelled as US-only, but you can still make use of it. 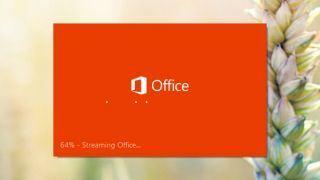 When launched, the Office 2013 apps show a dynamic Start screen by default. To see a blank new document instead, select File and Options, then untick the Start screen option on the General tab. If you've signed up for the subscription-based 365 flavour of Office 2013, you may not know that you get 60 minutes of Skype credit free each month. You might have already noticed this, but you can keep older versions of Office running alongside the 2013 version, should you need to (with the exception of Outlook). Word's new-look Read Mode (under the View tab) makes browsing documents easier, and it supports touchscreen input too. Load in online video clips from YouTube and elsewhere using the new Online Video button under the Insert tab. Right-click on a word and choose Define to pick a dictionary and see its definition. You can even get help with pronunciation if you need it. Word 2013 enables you to reply to document comments, and even mark them as 'done', for a smoother workflow. Table borders have been given some love in Word 2013, with additions such as the Border Painter tool (for copying border formatting), which is under the Design section of the Table Tools tab. Fully fledged PDF editing finally arrives with Word 2013, though you might lose some layout settings. Edited documents can be saved as PDF or DOCX files. New documents use Calibri and double spacing by default. Change this by right-clicking on the Normal stylesheet icon and choosing Modify. Click and drag and object on the page and you'll see faint green marker lines appear, DTP-style, enabling you to line up a series of elements more easily.